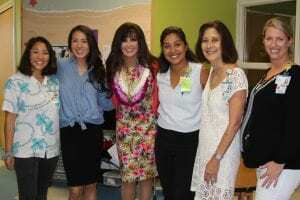 Kapi`olani was buzzing with excitement for Marie Osmond’s visit! 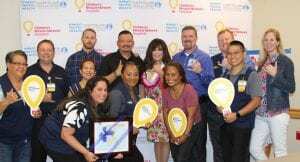 Marie is one of the founders of Children’s Miracle Network Hospitals, and came to the medical center to visit with patients and staff. She will be celebrating her birthday by performing with her brothers at the Blaisdell on Saturday, Oct. 13. 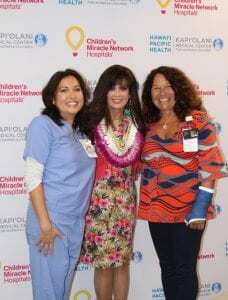 However, Marie made sure she had time to visit Kapiolani, Hawaii’s only Children’s Miracle Network Hospital, to brighten our patients’ and staff members’ day. Mahalo Marie for making miracles happen in Hawaii since 1983, and Hau`oli La Hanau! Previous post: Torch Relay is coming to Maui on October 27th! Next post: Happy Billion Dollar Day Walmart & Sam’s Club!